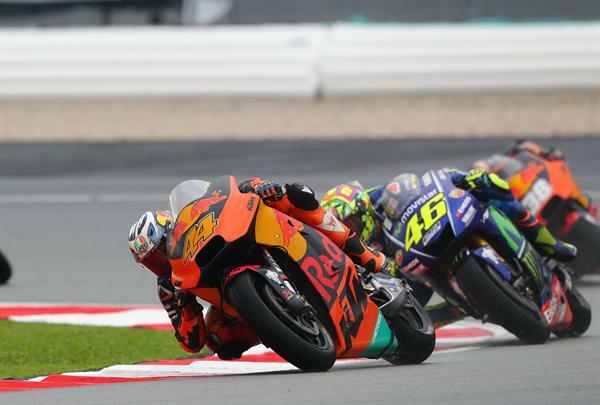 The Red Bull KTM MotoGP Factory Racing team today took their seventh top ten finish in their debut season of MotoGP racing as Pol Espargaro clinched tenth in the Malaysian Grand Prix with team mate Bradley Smith not far behind him in twelfth. 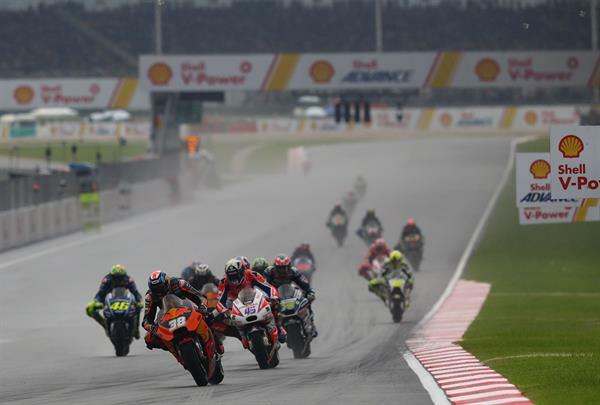 The heavens opened just as the MotoGP bikes were going to the grid but that didn’t bother the KTM MotoGP riders on their KTM RC16 as the lights went green; Smith made up nine places on the opening lap to be a fantastic seventh. A lap later he was sixth before he saw the flag in a very creditable 12th but as close as he’s been to the winner of a wet race. 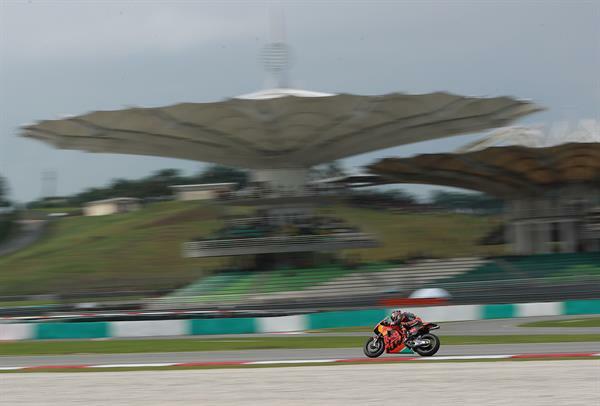 Espargaro was not quite as fast off the line, but brilliantly fought non-stop to raise himself up to 7th place by the mid way point. 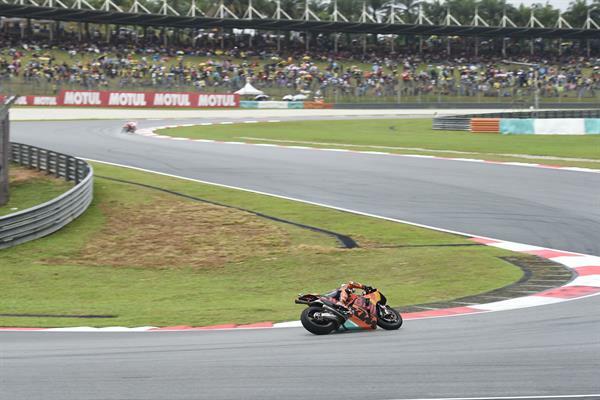 The number 44 rider ultimately finished 10th at the flag bagging yet more points for himself and the team. 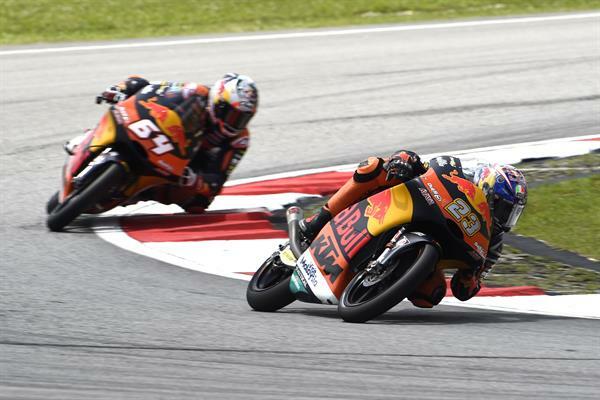 In Moto2, KTM had their second 1-2 finish in just one week as Miguel Oliveira took another lights to flag victory aboard his Red Bull Ajo KTM Moto2 with his team mate Brad Binder on his tail in second place. 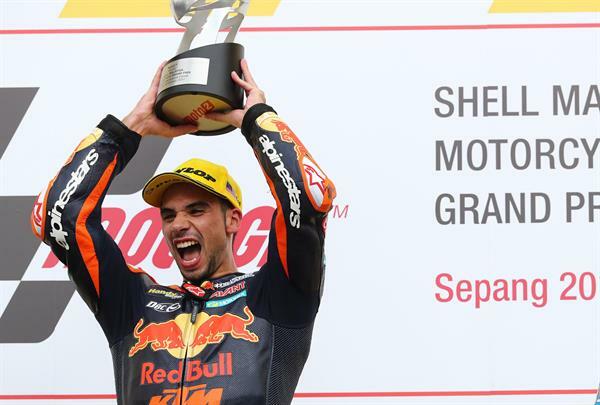 For a motorcycle that had never turned a wheel at the 5.5km race track before Friday morning, the result is even more impressive, just as it was seven days ago in Australia when the two riders took KTM’s debut win in the class. Oliveira steamed through the heat to have a one second lead within two laps before extending that to four seconds not long after following him resetting the outright lap record on the way. 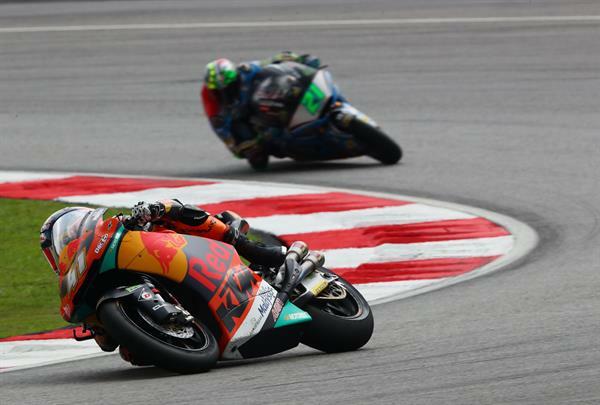 The win was KTM’s 75th in Grand Prix racing. Oliveira: "Today I had to give everything, I can hardly speak. 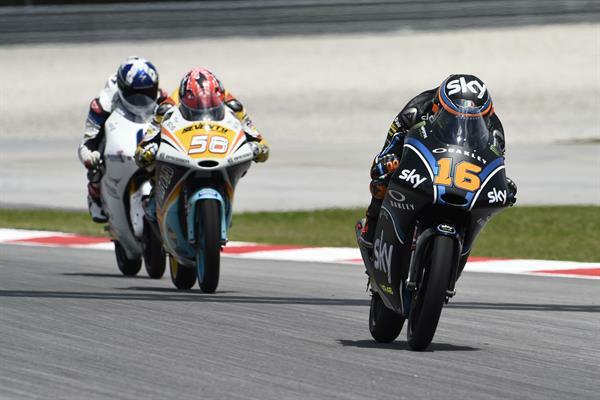 This was not the strategy I had in mind before we started, as Franco (Morbidelli) and Brad (Binder) had a very good pace, so my plan was to ride behind them. But I saw that I could give a little more on the first few laps and I went for it. I gave everything I had and I am very proud to have succeeded. At the beginning of the season I did not imagine that we would be able to achieve these results. I thought we would be competitive but not that we would do so well. We deserve this end to the season." 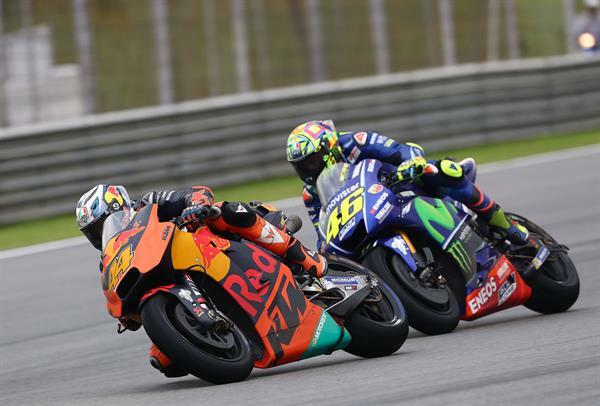 Binder: "At first, during the opening three or four laps, I didn’t feel too comfortable. But little by little I felt stronger as the race progressed; my bike was amazing and I have to thank my team for that. 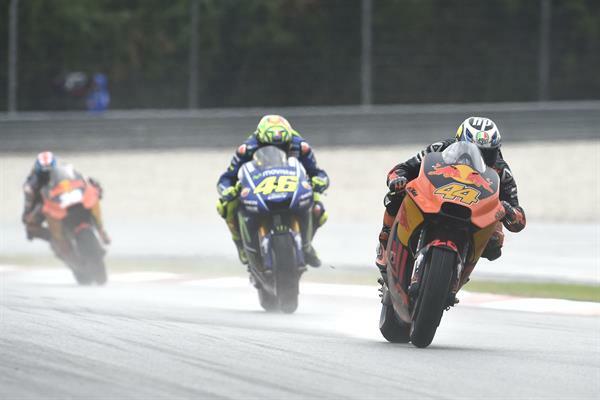 When I saw that it was beginning to rain, I told myself that I had to give everything and get away from Franco (Morbidelli). To finish second is incredible: I want to thank my team again for all the effort they’ve put in, and I’m looking forward to Valencia." 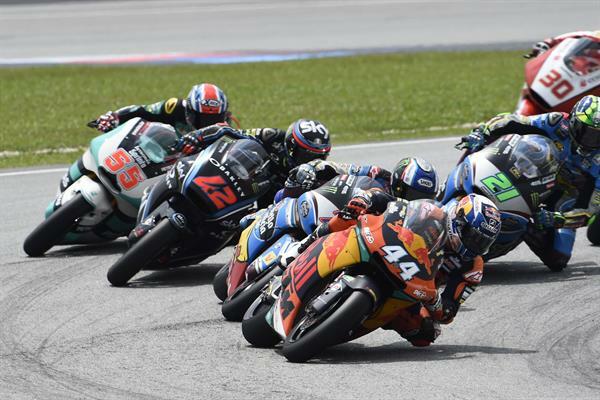 Aki Ajo (Team Manager Moto2): "The Moto2 race was incredible. I don’t know what to say. I don’t think I can even believe it; it is much more than we could have imagined. We are already very motivated to do well in the future, but this result is an extra bonus. This is a long-term project to fight for the World Championship one day, and this is without a doubt the way forward. 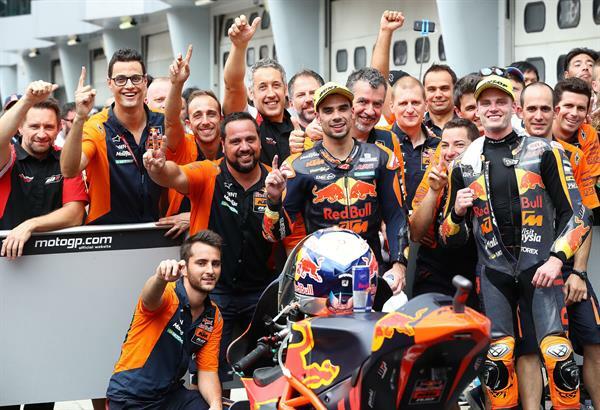 Again, I want to thank personally and on behalf of the team, the great partners who support us like Red Bull, KTM, and all the partners for letting us be part of this great project. 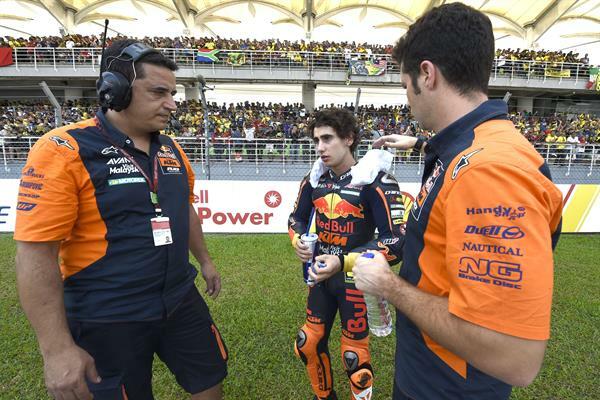 I also want to thank the riders, Miguel (Oliveira) and Brad (Binder). They are just incredible." 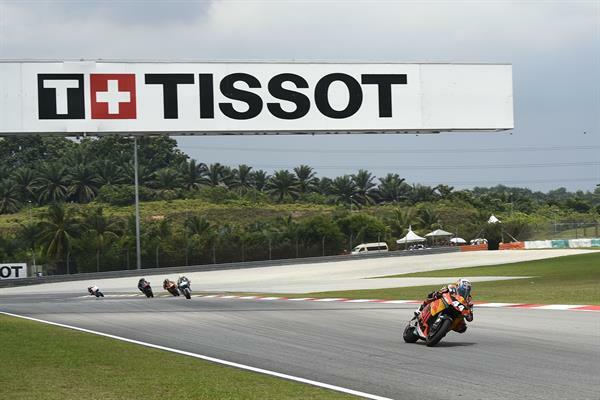 Under scorching sunny skies the leading KTM RC250 GP rider over the line was Italian Grand Prix winner Andrea Migno on what was not an easy race for those who didn’t catch the faster guys at the front. 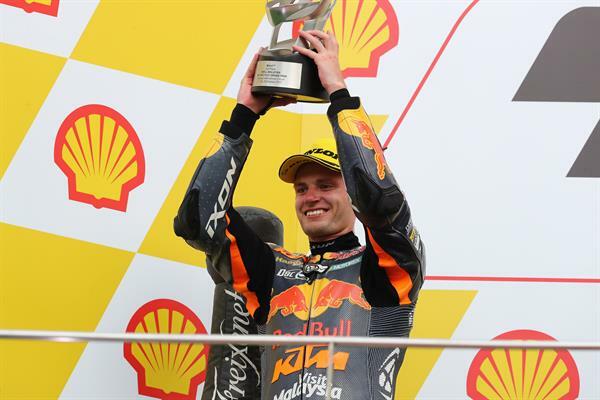 A great start for Red Bull Ajo’s Bo Bendsneyder saw him second in the early laps but it was a difficult day for the tall rider who suffered on the long straights where slipstreaming is so essential. Come the flag he was tenth just twelve seconds back of a scintillating battle for the lead. Team mate Niccolo Antonelli had an unlucky tumble when in seventh place leaving the pair to move on to the last race in Spain. 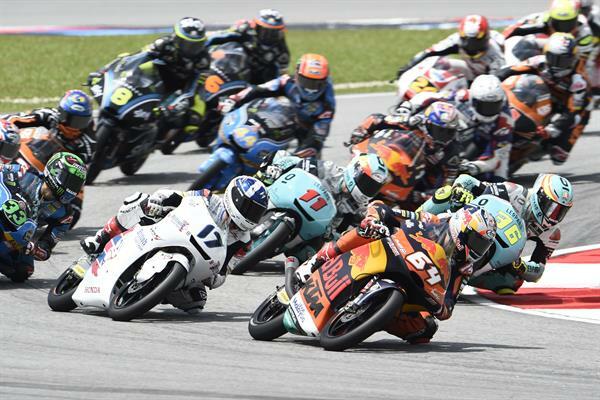 Ajo (Team Manager Moto3): "We expected to be able to fight for the top positions in today's Moto3 race. 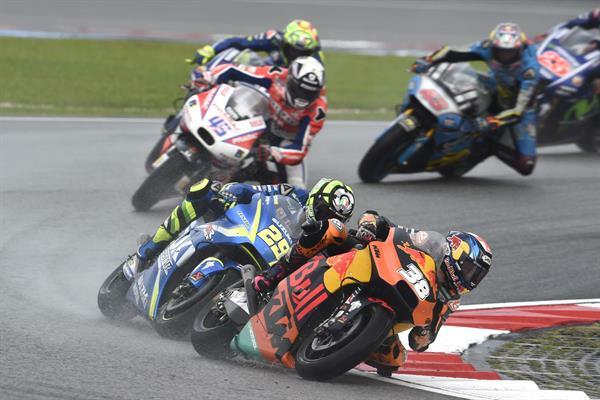 The start was very good but unfortunately Niccolo (Antonelli) crashed and Bo (Bendsneyder) lost some positions on the last corner, although he fought hard. Finishing the race in the Top 10 is nevertheless a positive result. During the weekend the pace has been quite promising in any case, so now we're going to focus on the last race in Valencia."